Reproduced from "Matlock & District Industrial Exhibition" catalogue. Stand 24. John Smedley Ltd., Lea Mills, Matlock. "The firm of John Smedley Limited was founded some 150 years ago by John Smedley near the picturesque village of Lea overlooking the River Derwent. The second John Smedley, born in 1803, who was a man of outstanding character, was apprenticed to the trade in 1819. This same John Smedley built Riber Castle, and, after studying hydropathy, founded the world renowned Hydropathic Establishment in Matlock, which bears his name. Since that time, every process from the sorting of the raw material to the finished article has been carried out at Lea Mills, a most unusual feature in the hosiery trade. This is one of the reasons why the house of "Smedley" is able to achieve the high grade of workmanship for which it is noted. The hosiery underwear manufactured at Lea Mills is mainly what is known as the "fashioned" type. This means that the garments are knitted to "shapes" which make them fit the body in contrast to the other methods which are not shaped to the figure, but must rely upon the elasticity of the material to adopt the appropriate shape when they are worn. The wool is brought to Lea Mills, where it is treated and blended before being spun into yarn. 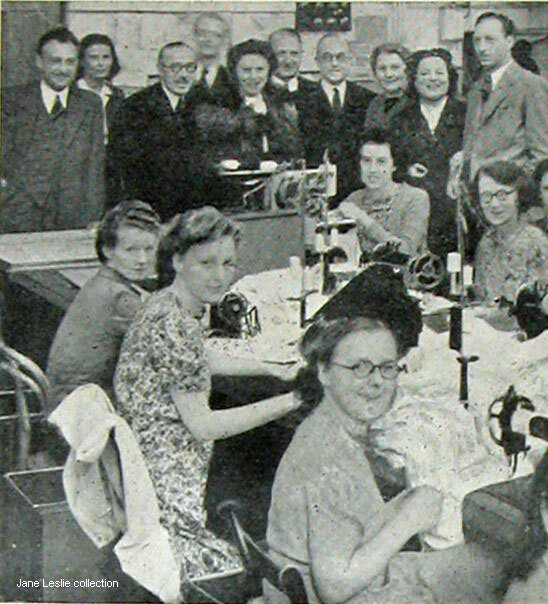 It then undergoes spinning, doubling and twisting into suitable yarns ready for knitting into garments, then washing, finishing and trimming, and lastly (each individual process having been examined in the departments) the final examination before packing for despatch. 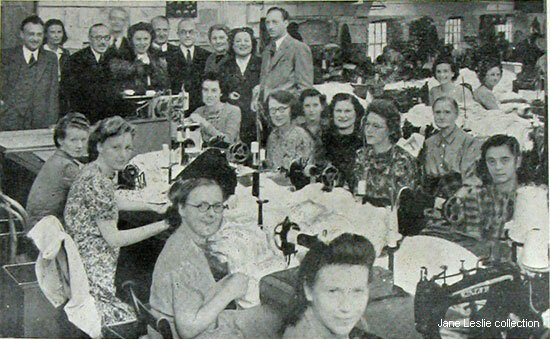 Before the war, many of the garments made at Lea Mills were sent to all parts of the world. 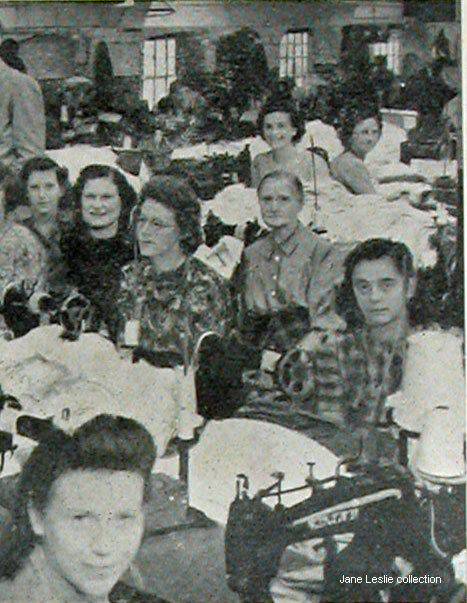 During the war, production was largely for men and women in the Services, but the Company also produced very large quantities of the utility garments for the Government, and much of this class of work is still being done. Now John Smedley Limited is beginning to turn its attention to the home market for speciality goods, and is also taking its part in the drive for exports which are such an important national need". Group on the left hand side of the image. Names currently unknown although the woman front, right could be Ada Gregory. Group on the right hand side of the image. Names currently unknown. Catalogue part of Jane Leslie's personal collection and photographed especially for this web site by Andy Andrews. Text OCR-ed for this web site by and © Ann Andrews. "Matlock & District Industrial Exhibition", (1946) Published by Geo. Hodgkinson, Printer, Matlock, page 24. The catalogue states that the image was reproduced from "The Derbyshire Times", but no date given.